At Ryder, we strive to create a work environment that attracts top talent, prioritizes safety, and encourages engagement with the communities in which we live and work. Ryder is committed to the safety, well-being, and development of our people and we take pride in the relationships we have developed with local charitable organizations and communities. In this section, we explore our initiatives on Safety, Our People, and Building Stronger Communities. First and foremost, a strict adherence to safety is what allows our employees to go home to their families every day. There is no more important outcome. Preventing injuries and collisions safeguards our employees’ quality of life. It is also an integral part of our business operations, as it allows us to provide our customers with high-quality services consistently and efficiently. Ryder’s safety record is a leading factor in gaining and keeping the trust of our customers. Employees choose Ryder because we make it a priority to recruit, train, and retain the best people in the industry. That means embracing diversity, rewarding employee contributions, and providing employees with opportunities for growth. 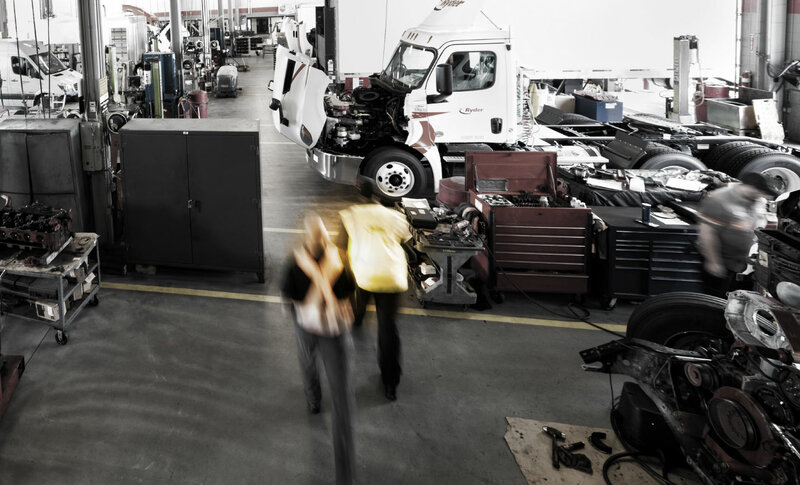 Our customers choose Ryder because even as our industry faces worker shortages among drivers and technicians, they can rely on us to maintain a capable, efficient, and safe workforce. Ryder’s employees and customers can be found in towns and cities across the U.S., Mexico, Canada, and the U.K. We will continue to support initiatives and organizations that are committed to improving safety and strengthening the communities where the greater Ryder family works and lives.